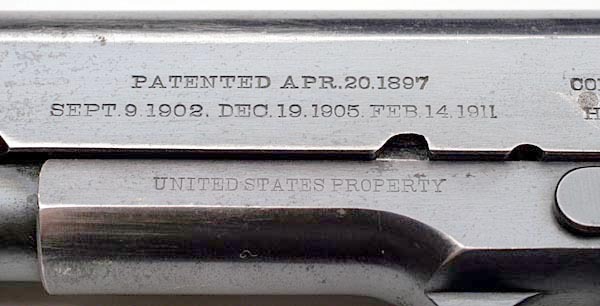 "UNITED STATES PROPERTY" mark on the frame and early patent dates terminating with date of Feb. 14, 1911. 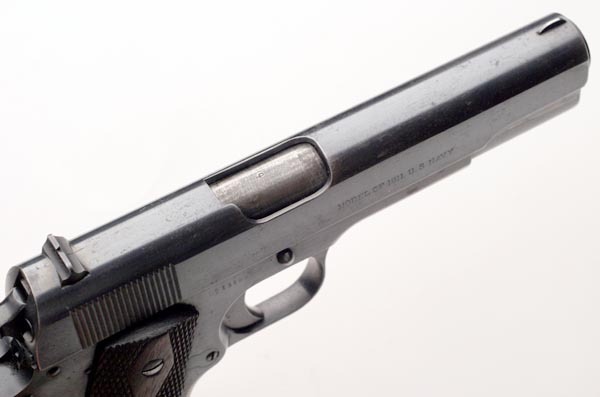 In this serial number, range Frank Hosmer's provisional inspection mark "H" should be horizontal and should be stamped on the rear of the slide. 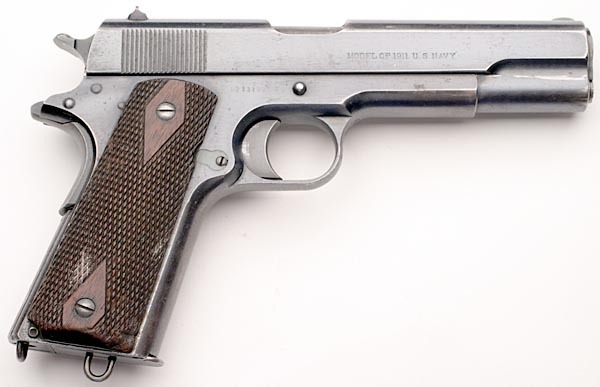 on the top of the frame next to the disconnector and on the rear of the barrel (this pistol's barrel has been replaced with a 1918 vintage HP marked barrel). 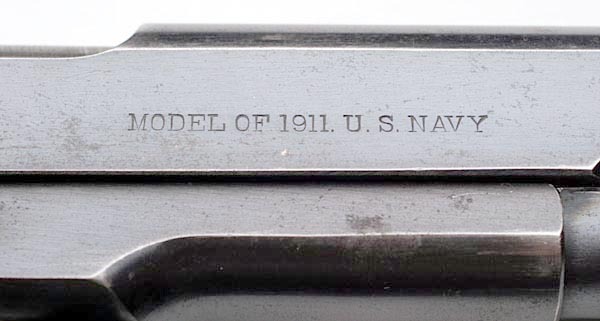 Close-up of MODEL OF 1911 U.S. NAVY slide marking on right side of slide. View of top of slide. 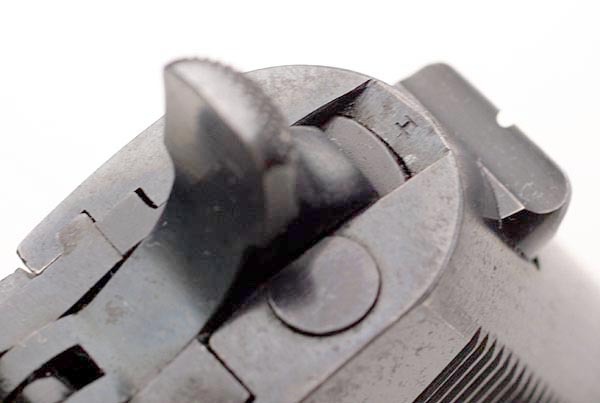 Rear sight has been replaced with a later 1918 type. The mark of Army Inspector of Ordnance Major Walter G. Penfield is on the left side above the magazine release. Penfield inspected these pistols from January 2, 1911 - September 30, 1914. 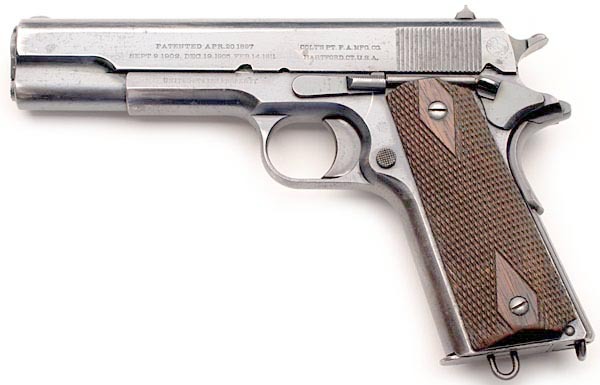 Serial numbers of Model 1911 pistols inspected 1 - 101500. Pistol has early Colt in circle on the slide. 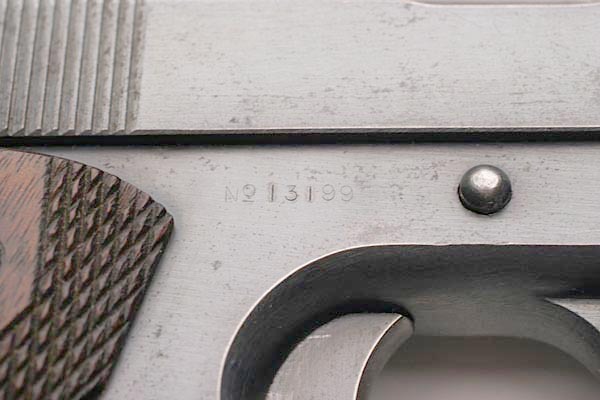 Close-up of serial number No 13199.